« Turn It Up Tuesday: You can take the girl out of the city…. If you only knew how this resonates with my soul!!!! 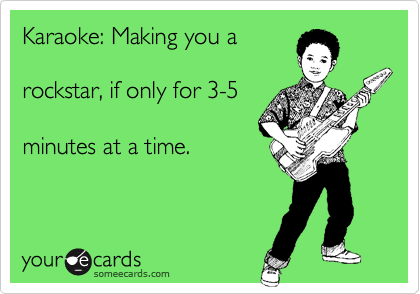 I swear, Karaoke is the answer for everything. Go to crowd is Wannabe but I must say… Anything Taylor Swift can be a game changer but only when that third Margarita has been downed! For real. Karaoke is just amazing. and Wannabe is ALWAYS a good go to song. I don’t know how I forgot that one!! !